Two weeks ago, we wrote about State Sen. Scott Wiener’s SB 50, a new version of last year’s SB 827 that aims to boost housing density near public transit. It’s one of the more ambitious initiatives to address California’s housing crisis – and one of the most controversial. This week, the Senate Transportation and Housing Committee voted to advance the bill in a 9-1 vote. There already is more progress than SB 827 made, which never made it out of committee. The legislation still faces a long process, with the next step being consideration by the Senate Governance and Finance Committee in late April. San Francisco Supervisor Gordon Mar has introduced a resolution opposing SB 50, claiming that the legislation would “entitle real estate developers to increase both residential and mixed use development with significantly less public review.” Supervisors Mandelman, Ronen, Peskin, Walton, Fewer, and Board President Yee all support Mar’s resolution. Mayor Breed and the Mayors of Oakland and San Jose support SB 50. Another measure we have reported on previously and continue to track is Supervisor Peskin’s residential demolition and expansion legislation. Originally introduced in December 2018, the legislation proposed changes to what constitutes a demolition, thereby dramatically increasing the number of projects needing a Conditional Use approval of the demolition. In addition, the legislation required Conditional Use approval for many more residential additions, with heightened criteria making them almost impossible to get approved. Following its initial introduction, facing significant opposition, Supervisor Peskin has been reworking the legislation. A new version is expected any day now, but as of now, this writing has not been released. The Planning Commission is scheduled to consider the revised version in a joint hearing with the Building Inspection Commission on April 18. The Central Subway, originally scheduled to be substantially complete by February 2018, and then pushed to December 2019, appears to be encountering new delays. Opening is now targeted for May 2020. Among the reasons for the delay are cost overruns, water leaks, contractor disputes, and worker shortages. Worker shortages also troubled the opening of the Transit Center. As of the beginning of this year, the project was 80% complete. The Transit Center also faces construction issues, as has been well-documented. Unsurprisingly, the parties involved are disputing the cause of the cracked steel girders that have kept the transit hub, retail center, and rooftop park closed since last September. Previously, an independent review board of engineers attributed the fractures to “a perfect storm” of factors, including the strength of the steel, which met industry standards; the fabrication, including the cutting of holes in the girders; and the design of the girders. 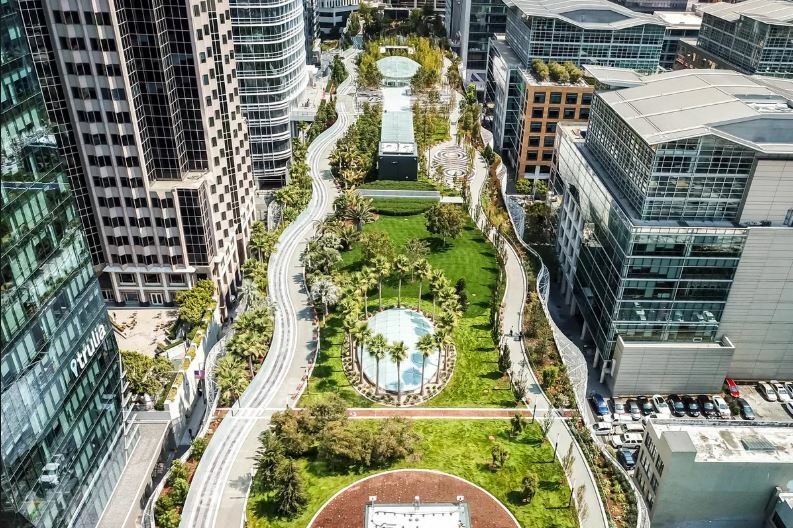 Following that review, officials of the Transbay Joint Powers Authority claimed a different cause. They concluded that three teams of quality-control inspectors working for the center’s structural steel contractors didn’t discover a critical construction flaw, and that the Authority’s own spot inspections also missed the oversight. The contractors dispute this, and point to the process used to cut holes in the girders. In the meantime, work to re-open the Center continues, which is expected by mid-June.